JRPG Jungle: This Week's PSN EU/AU PSN Releases, JRPG Style! (26/4/15) + 5000 Views! This Week's PSN EU/AU PSN Releases, JRPG Style! (26/4/15) + 5000 Views! You may have noticed no PSN post last week and that was because I couldn't get into the PSN for some reason. From what I've heard there was some sort of maintenance, but PSN wasn't offering any explanation so I just kind of dealt with it. So, unfortunately there will be no update post for the PSN for last week, but here is this week's! This week's PSN update saw unfortunately no new releases in Japanese game land, but there are a bunch of DOA5 Last Round DLC items and arcade games are on sale this week to keep you busy, including one of my personal favourites from Arc System Works, Persona 4 Arena Ultimax. You can check out these games and more at the Playstation Network Store. 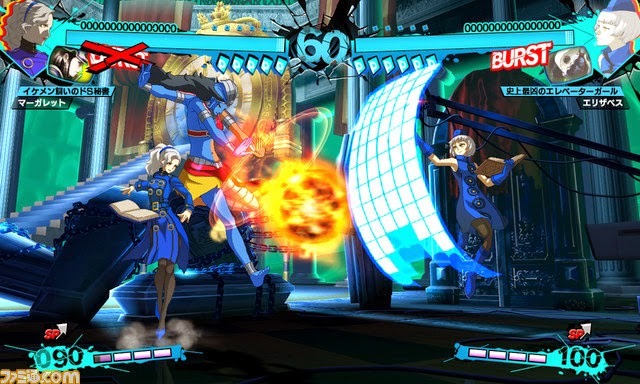 With my pick of the week being Persona 4 Arena Ultimax, what's yours?